Collector Safirulla announced on Wednesday that 1,000 hectares of land in Ernakulam would be dedicated to Pokkali farming this year. 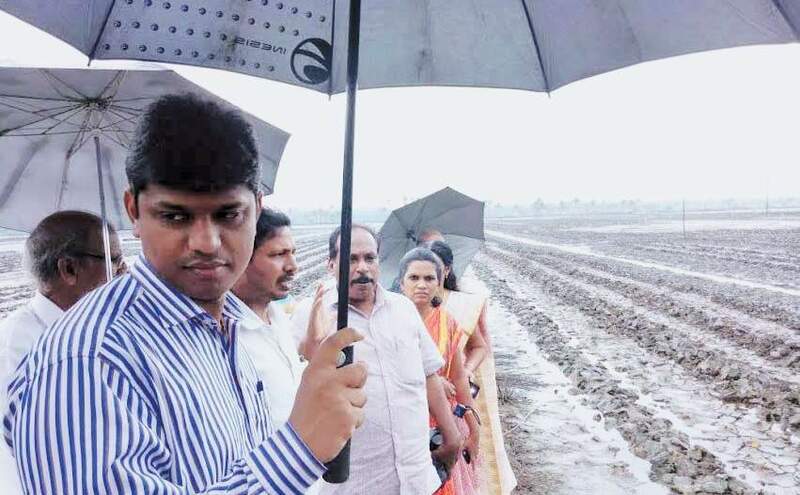 KOCHI: The district administration has decided to extend Pokkali farming on 1,000 hectares of land this year in the district, Collector K Mohammed Y Safirulla announced on Wednesday. He was visiting the Ezhikkara Pokkali paddy field. He said next year, the farming will be extended to 2,000 hectares and steps to make this a reality will be initiated soon. “At Ezhikkara, Pokkali will be cultivated at 130 hectares this year in comparison to 100 hectares last year. More seeds for Pokkali cultivation will be provided to farmers to promote its farming in the district,” he said. Safirulla also spoke to farmers at Ezhikkara, who raised concerns about moorhens evading the farmlands and requested him to introduce harvesting machines that could operate in water-filled paddy fields. Principal Agricultural Officer Sreedevi said a project worth Rs 29 crore had been prepared to enhance Pokkali farming in the district. The project report had been handed over to the Pokkali Development Agency. Once government nod is received, farmers will start receiving financial aid, she said. Owing to the district administration’s projects, paddy farming could be revived on the 1400-acre Thottara Puncha in Amballur and Edakkattuvayal panchayats last year. A project worth Rs 29 crore had been prepared to enhance Pokkali farming in the district.